Lock in a great price for Hotel Ristorante Gardesana – rated 9 by recent guests! Everything was fabulous, especially the service, the food and the wine! The dinner we had there was memorable in every way. So wonderful! The risotto, the beef, the wine pairings and dessert! And the service was perfect. Loved the place! The attic room we had was lovely and spacious with dual aspect over the lake and over the small harbour. We could sit in bed and see the lovely views. Excellent breakfast with the bonus of bucks fizz each morning, what a treat! The hotel is historic and set in a beautiful location. The ambience was very relaxing and the hotel was reasonably priced. Very comfy bed. Good view. Great breakfast. Hotel near all amenities. Good secure car park. Friendly and efficient staff. Unparalled location, right on the main piazza. Really comfy beds and pillows. Nicest and most polite staff you could wish for. Hotel Ristorante Gardesana This rating is a reflection of how the property compares to the industry standard when it comes to price, facilities and services available. It's based on a self-evaluation by the property. Use this rating to help choose your stay! 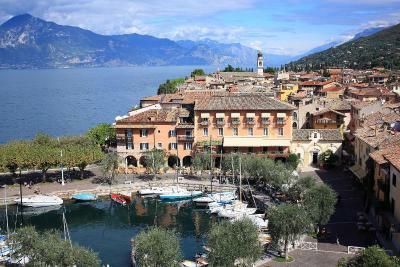 One of our top picks in Torri del Benaco.Hotel Ristorante Gardesana is set in Torri del Benaco, overlooking Lake Garda. 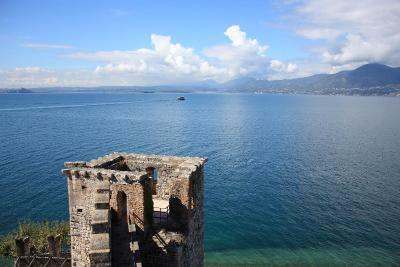 It offers panoramic lake views and air-conditioned rooms with satellite TV and free Wi-Fi. 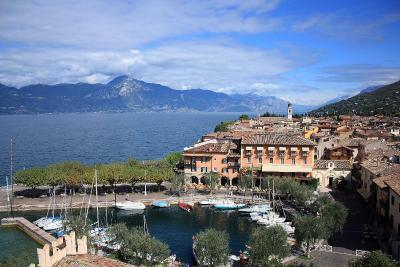 Some rooms at Gardesana have views over Lake Garda. The hotel’s Restaurant Gardesana serves local cuisine and seafood specialties. 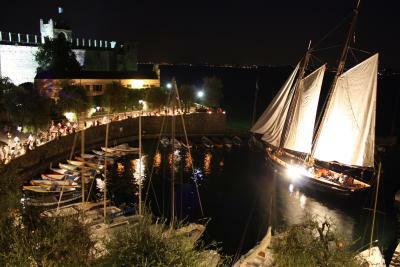 The lounge bar has a balcony overlooking the medieval marina and castle. The hotel is located just off the SS249 state road. The tourist pier is only 150 feet away. 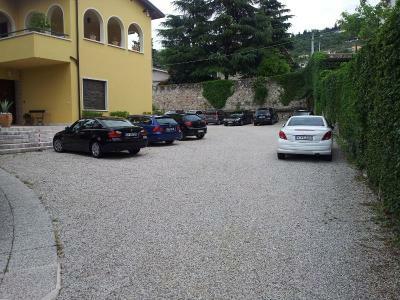 This property also has one of the top-rated locations in Torri del Benaco! Guests are happier about it compared to other properties in the area. When would you like to stay at Hotel Ristorante Gardesana? Air-conditioned room with satellite flat-screen TV. The private bathroom has free toiletries and a hairdryer. 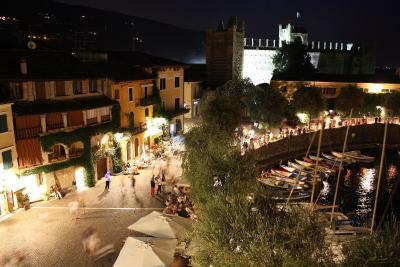 Overlooks Lake Garda, the Scaliger castle, and marina. This air-conditioned room includes a flat-screen satellite TV. The private bathroom has free toiletries and a hairdryer. Offers a balcony overlooking Lake Garda, the castle, and marina. This air-conditioned room includes a flat-screen satellite TV. The private bathroom has free toiletries and a hairdryer. House Rules Hotel Ristorante Gardesana takes special requests – add in the next step! Hotel Ristorante Gardesana accepts these cards and reserves the right to temporarily hold an amount prior to arrival. For me, personally, some softer, thinner pillows. Restaurant books up very quickly! Would have liked a balcony. Bathroom quite small. A couple of comfy chairs in the bedroom would have been nice, or, somewhere to sit and read inside the hotel out of the heat. 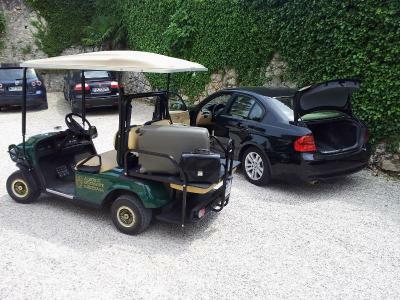 Friendly staff, buggy service to/from car park, fantastic location. The room was quite dark. 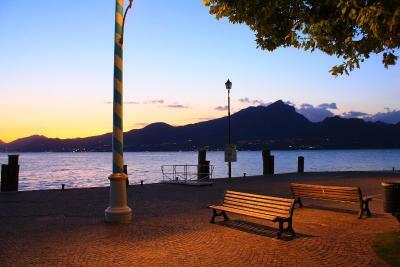 Next time i will choose a room over looking the lake. Fabulous location and lovely friendly staff. Was a little difficult to find. Location and view was wonderful. Breakfast was great, loved the freshly squeezed orange juice, choices of food and of course the glass of prossecoco. Staff were very helpful, polite and attentive. Secure free car parking was useful. Food in the restaurant was delicious. Beautiful location in a central location. The staff was incredibly accommodating and friendly. Laura was exceptionally wonderful! Would happily recommend this location.